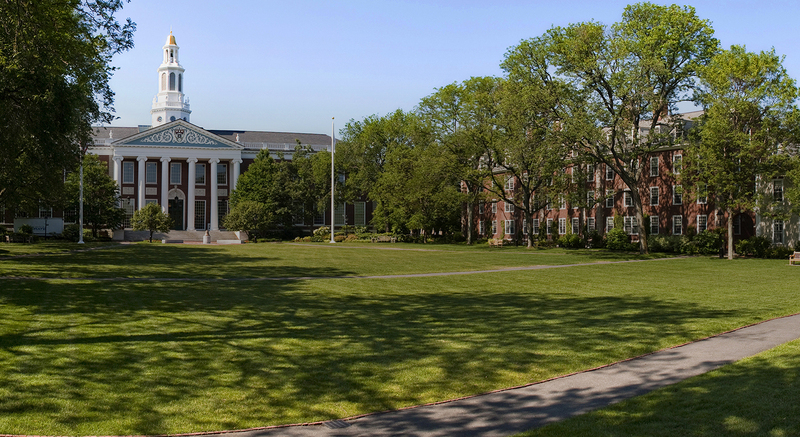 HBS is the only top business school in the United States with a residential campus that forms its own vibrant community in the heart of one of the world's great cities. This environment offers students countless opportunities for interaction with one another and with faculty beyond the classroom, easy access to a range of on-campus activities and resources, socializing, and building lasting relationships. Community members are drawn together by a commitment to a set of core values, including integrity, honesty, respect for others, personal accountability, and dedication to excellence – qualities that play a key role in developing the teamwork and sound judgment that are central to our educational mission. At its core, HBS student life is built around an intense section experience that's invigorated with School-wide club events, student organizations, guest speakers, seminars, sports, conferences, and more. In fact, many of our student profiles share a common theme: how MBAs have found not only a community of support, but a close-knit network of friendships that last a lifetime. Everything on the HBS campus—from our multimedia classrooms to our gourmet-quality dining facilities—is designed to encourage community collaboration for a richer learning experience.